In yet another sign of the Wii apocalypse, reports have surfaced from component manufacturers pointing to Nintendo ordering fewer Wii consoles. The fiscal reports of two Japanese electronic component manfacturers, Mitsumi and Hosiden, have claimed that their profits have dropped by more than 50% from 2008. 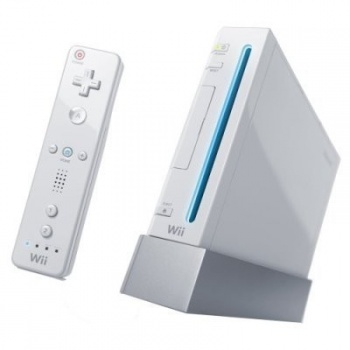 Both companies blame the decline of the Wii's popularity and Nintendo placing less orders for the components needed to produce the console. This is a big change from 2008, when the Wii was selling like hotcakes and it seemed Nintendo couldn't make them fast enough. It will be interesting to see how Nintendo leverages the once popular control scheme into more sales. If not, it's possible that the Wii will continue to decline and fade away. With Microsoft's Natal technology and Sony's PlayStation Motion Controller arguably being pushed into production by the success of the Wii, will Nintendo's innovative console be remembered as a short-lived trend setter or can Nintendo reverse its fortunes with a blockbuster new product? Somehow, I don't think the Wii Vitality Sensor is it.